All pilasters are supported by L-bracket with floor anchor bolt which is concealed with stainless steel flat box up height of up to 110mm. The stainless steel box up is available in SS Grade-304 and 316 options. 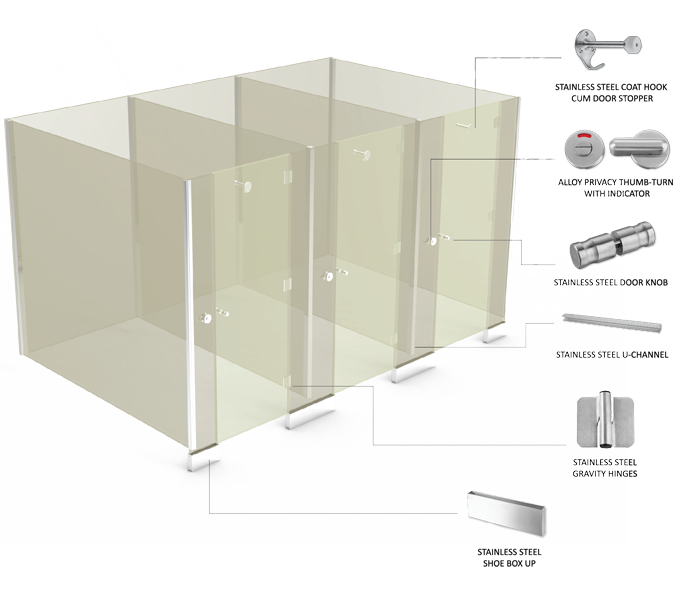 The intermediate panels are fixed onto the wall with stainless steel (Grade-304) U-channel section and SS 304 screw inserts.